TVERC has mapped habitats in Berkshire and Oxfordshire using a mixture of field survey data and aerial photograph interpretation. Habitats have been mapped to identify S41 Habitats of Principal Importance (previously called UKBAP priority habitats) and JNCC Phase One habitats. 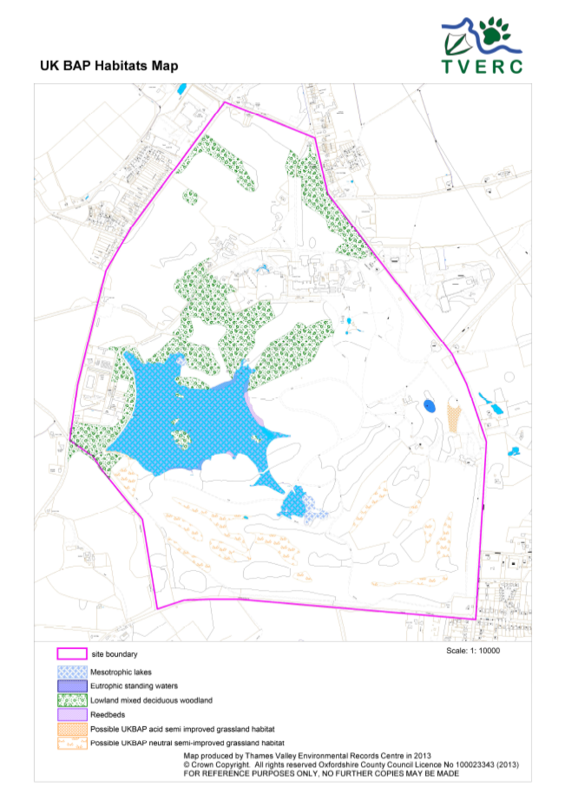 We have partnered with Bosqmap to allow us to use Bosqmap forms within MapInfo to allow easy and standard updating of habitat data and other attributes. 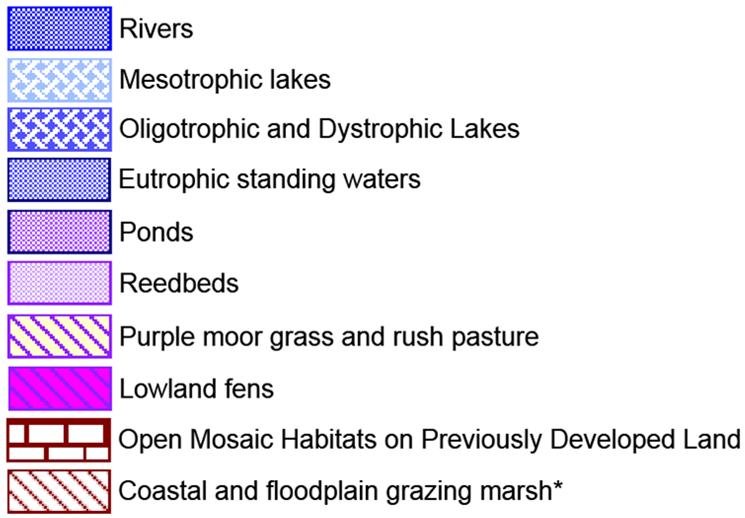 Our data on some NERC Act S41 Habitats of Principal Importance (previously called UKBAP priority habitats) was updated and fed into national habitat inventories held by Natural England. Natural England have recently replaced these inventories with a Single Habitats Layer Dataset (Priority Habitat Inventory). While this incorporates some of our data from 2015 this dataset is far less accurate than the TVERC habitats dataset for Berkshire and Oxfordshire and is not suitable for making decisions at a local level. The information Natural England used is now out-of-date and analysis has revealed that the NE dataset is missing the presence of 4497 ha of 11 types of priority habitat (arable field margins, eutrophic standing waters, mesotrophic lakes, ponds, rivers, lowland beech and yew woodland, wet woodland, lowland wood pasture and parkland, open mosaics on previously developed land, possible priority grassland and possible priority fen). 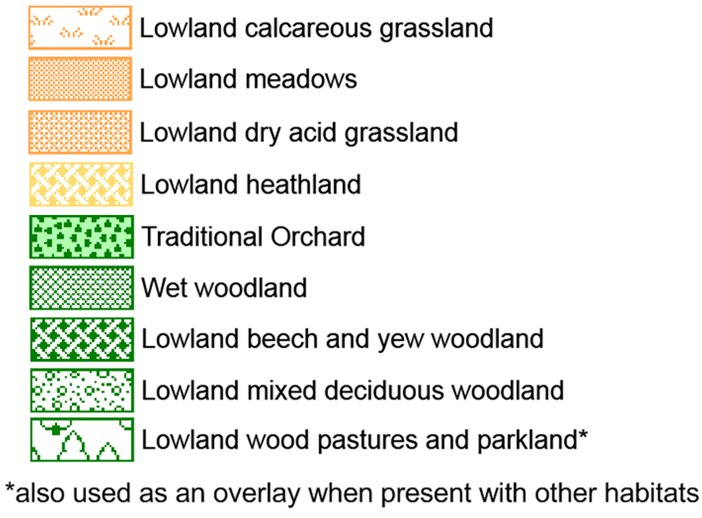 The NE dataset also overestimates the present of 7 types of habitat by a total of 4497 ha (coastal & floodplain grazing marsh, lowland calcareous grassland, lowland dry acid grassland, lowland meadows, lowland heathland, lowland mixed decidous woodland and purple moor grass and rush pasture, and underestimates the presence of lowland fen, reedbed and traditional orchards by a total of 203 ha. We strongly recommend that people contact TVERC for habitats information in Berkshire and Oxfordshire, by submitting a data request form, rather than using Single Habitats Layer from Natural England. How do TVERC know what habitat is present? TVERC have used aerial photographs and field surveys to identify and map habitats. The data also tells you how certain we are that the habitat has been correctly identified, using determination and interpretation descriptions. What is S41 Habitat of Principal Importance? UK Biodiversity Action Plan (BAP) Priority Habitats were those that were identified as being the most threatened and requiring conservation action under the UK Biodiversity Action Plan (UK BAP). These habitats are now listed in section 41 of the Natural Environment and Rural Communities (NERC) Act and are called 'Habitats of Principal Importance'. They are the most important habitats for wildlife. They are protected from harmful development by the NERC Act and the National Planning Policy Framework. What is Phase 1 habitat? The JNCC Phase 1 habitat classification and associated field survey technique provides a relatively rapid, but crude, system to record semi-natural vegetation and other wildlife habitats. The system has been widely used and continues to act as the standard ‘phase 1’ technique for habitat survey across the UK. 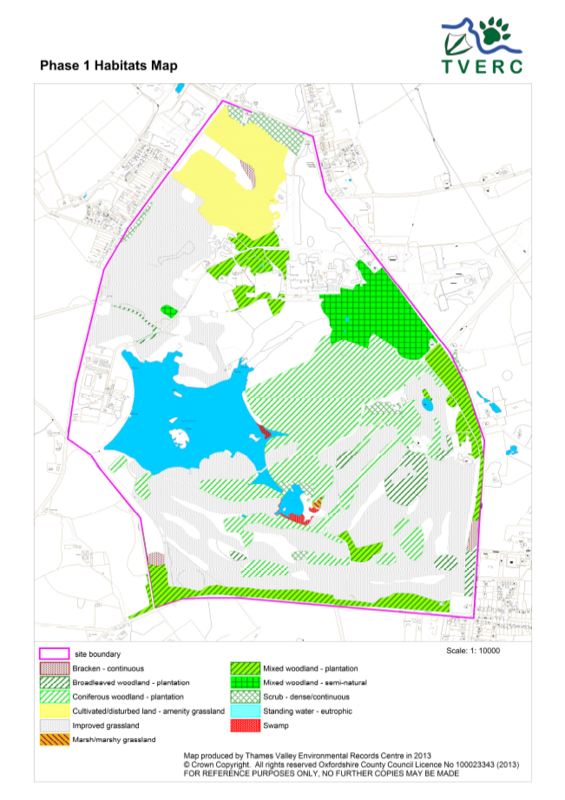 Integrated Habitats System (IHS) integrates existing classifications in use in the UK with particular emphasis on BAP Broad Habitat Types, S41 Habitats of Principal Importance (previously called BAP Priority Habitat Types), Annex 1 of the Habitats Directive and Phase 1. Standard habitat definitions from these classifications are combined into a hierarchy starting at the level of Broad Habitat Types, through vegetation communities to habitat-specific features, such as management practices.